Does Hillary's résumé make her the 'best-qualified' candidate? IS HILLARY CLINTON qualified to be president? To hear some of her prominent supporters tell it, no candidate could be more qualified. Stumping in Iowa with Clinton on Sunday, Senator Cory Booker of New Jersey hailed her as a "great American" who would be "the most qualified person since George Washington" to serve as president. Mere hyperbole from an enthusiastic advocate? Maybe. Yet James Carville, the well-known political advisor, had made the same claim one day earlier. James Buchanan, the 15th president of the United States, had one of the most imposing résumés in American political history. "We've got the best chance we've ever had to put a woman in the White House," Carville wrote in a fundraising email, "and oh, by the way, she just happens to be the most qualified candidate maybe since General George Washington himself!!" Many Clinton admirers talk this way. Last spring, political scientist (and Bloomberg columnist) Jonathan Bernstein proclaimed her "probably the best qualified presidential candidate ever." The New York Times, endorsing Clinton last week, placed her among "the most broadly and deeply qualified presidential candidates in modern history." Those who rave like this about Clinton's qualifications are generally talking about her résumé: eight years as First Lady, eight more as senator from New York, four years as secretary of state. Earlier, she was a partner in the Rose Law Firm and head of the Legal Services Corporation. It all makes for an impressive CV, arguably the most impressive of the current presidential contenders. But does it really make for "the best qualified presidential candidate ever"? Or even the best qualified in 2016? 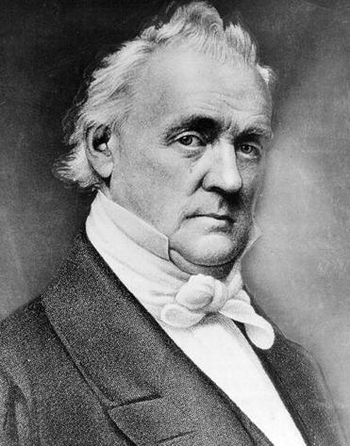 If imposing résumés augured presidential greatness, James Buchanan would be on Mount Rushmore. Prior to becoming the 15th president of the United States, Buchanan was a member of the Pennsylvania legislature, was elected five times to the US House of Representatives, and served as ambassador to Russia. He went back to Congress after his diplomatic tour in St. Petersburg, spending 10 years as senator from Pennsylvania — a post he resigned in 1845 to become secretary of state. He was offered a seat on the Supreme Court, which he declined, but later returned to diplomacy as America's ambassador to Great Britain. When Buchanan was elected president in 1856, it doubtless seemed to many that a candidate with such glittering political credentials was destined for brilliance in the White House. But Buchanan failed miserably as president. He was hesitant to lead, paralyzed by the secession crisis, and unwilling to hear dissenting viewpoints. Moreover, as presidential historian Alvin Felzenberg writes, Buchanan was a cynical operator who "betrayed a cavalier attitude toward ethics, both public and private, and seemed to believe that most everyone else did as well." By the time he left office, the nation was on the brink of civil war. Buchanan was succeeded by the president Hillary Clinton says she finds most inspiring: Abraham Lincoln. One of the most heroic figures in American history, President Lincoln was also, in conventional terms, one of the least qualified. A single term in Congress, an unremarkable stint in the Illinois legislature, a failed Senate campaign — nobody could have called Lincoln's pre-presidential career a dazzling political success. Yet it was he who preserved the Union, ended slavery, and saved the "last, best hope of earth." A list of offices held is a flimsy guide to the quality of a presidential candidate. Integrity, vision, humility, consistency of purpose, a willingness to learn — those are far more reliable indicators of excellence in a potential president. Clinton has a fine résumé. But history repeatedly reminds us that it takes more than that to make a fine president.